A girl just wants to shop sometimes. For a gal who is also tasked to pay off mortgages and bills before joy-shopping, though, this can be quite the temptation. I try to get my fill of shopping on the sale racks and (sad, but true) at the grocery store. It's amazing the high one can get when you save $21 at Publix from coupons and savvy sale shopping! But every once in a while, I like to bust out and get something totally unnecessary. A total random buy. This week was one of those weeks. 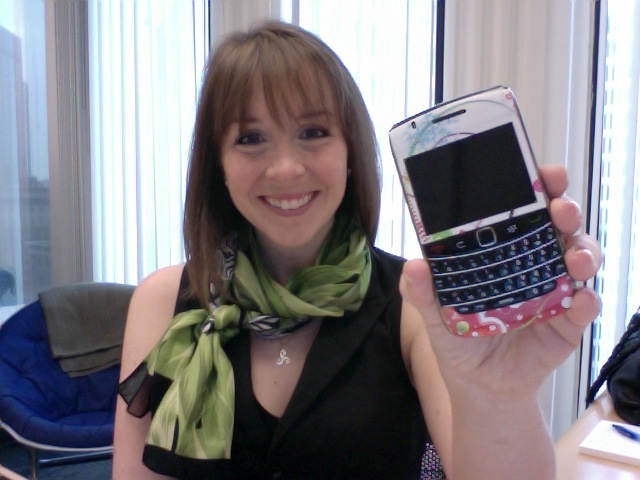 I went and spent a big $14 (woo hoo) on a skin for my beloved, my Blackberry Bold. I hate huge cases for phones. Smartphones are big enough as they are, why make them even bigger? I keep mine in the boring Blackberry holster while it's in my bag to protect it from scratches and drops (which are quite common over here), but the regular old case was boring me. I looked around the conference table last week at a client meeting and realized that even senior management had fun phone covers. Well fine, I can too. Behold, my jazzy new SkinIt. It's a sticker, yes, but don't call it that, that sounds lame. It's a skin. 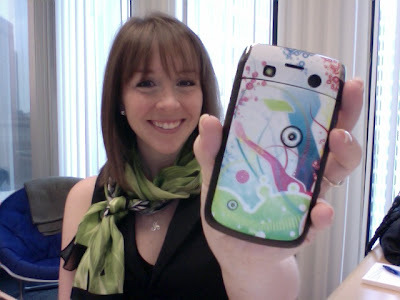 Reminiscent of a hot pink lightening bolt snap-on case I had on a Nokia circa 2000, but cooler. And totally removable for when I get tired of it. 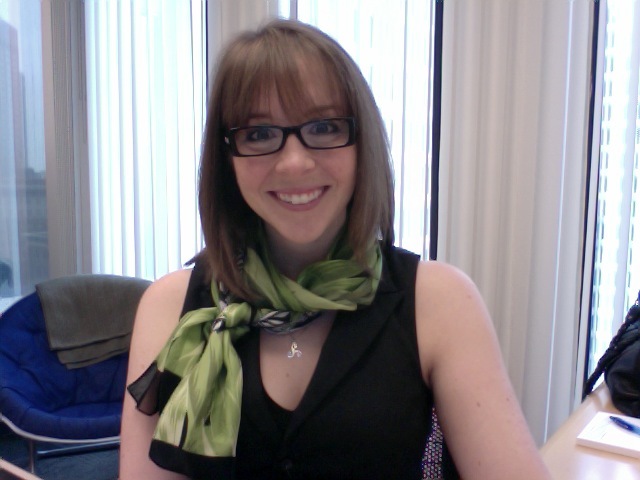 Adorable post, "skin" and scarf! It is the little things. I am rocking some new bright blue eyeshadow today and it was just enough of a change to make me happy in the same ole' work outfit. Are you a fan of the BB Bold? I'm in the market for a smartphone, because I am still dealing with a text only/pic phone.. no internet or email. Don't know if I should go BB or Droid. Choices choices. Fiona, great to "meet" you, fellow Betty! Thanks for your comment, and that blue eyeshadow sounds fab! Erica - I love the Bold, but I am also a fan of BBs in general over iPhones just because of my personality. The new BB Torch is so cool looking too, and it has the touchscreen of an iPhone plus the BB platform and keyboard too. I don't know much about the Droid, as not many of my friends have it, but I bet it's cool too.